Things to do don’t end with summer here in Austin. With temperatures cooling down, the holiday fast season approaching and a full calendar of events, it may be hard to navigate how you’ll spend your autumn days. We’ve got you covered with this list of fall essentials to guarantee you get the most out of your next visit to Austin. Banger&apos;s Sausage House & Beer Garden. The wait is over! These lineups have been on our minds for the past few months and now we finally get to live out our live music dreams. In addition to ACL Fest, check out the Dia de los Muertos Music Festival for a hard-hitting lineup of Latin, mariachi and indie music. The new Sound on Sound Festival will take place for the first time this year from November 4-6. Focusing on the up-and-coming music scene, Sound on Sound’s lineup promises to bring plenty of fun acts from indie and alternative to experimental and hip hop. Grab your camping gear, head out to Sherwood Forest (only a few miles out of Austin city limits) to get your fix of great live music. Grab your burnt orange and wear it proud! Here in Texas, football is no joke, so it’s no surprise that when it comes to the Longhorns, Austin likes to do it big. Any University of Texas football game takes over the town, so head towards campus if you want to see the fans in action. If you can’t make it to the game, there are plenty of ways to spend your day cheering on the Horns. Join right in with the students at the Pluckers located in West Campus to experience the true spirit of Texas football. If you find yourself without any burnt orange gear on game day, stop by the University Co-op for any and every kind of spirit-wear. This year, Austin is filled to the brim with different ways to celebrate Texas&apos; German heritage. In addition to celebrating their 150th Anniversary, Scholz Garten will be holding Austin Oktoberfest (better known as AustOberfest) with all-you-can-eat sausage, bier tasting, bowling and live music. For a more laid-back Oktoberfest celebration, head over to Easy Tiger on Sixth Street or Banger’s, a hip patio bar on Rainey Street known for its specialty links and extensive beer list. Whether you hop on one of the many brewery tours Austin has to offer or grab an artisan wurst from Frank, enjoy some of the German culture that made central Texas what it is today. It’s that time of year again: colder weather is approaching and buzzworthy films are beginning to grace the silver screen ­- Oscar season is on the horizon! Make a day out of going to one of our locally-owned movie theaters with friends or family. Head to Alamo Drafthouse where they take the movie experience seriously (no cell phones!) and provide fun screening events like quote-alongs and movie parties. If indie-films are more your speed, Violet Crown Cinema provides a more intimate feel with great snacks and cocktails to go along with your viewing experience. Film-buff? Grab a badge and see what local and national filmmakers have to offer at this year’s Austin Film Festival. Beginning October 13, theaters all over Austin will be screening films of every genre along with panels, workshops and more. With the fall season comes a number of ways to celebrate the diversity in Austin. Kick off the season with celebrations for Dia de los Muertos throughout October! Head to Fiesta Gardens for one of Austin’s most popular cultural events, Dia de los Muertos Music Festival. Or bring the little ones out to enjoy a spectacular fireworks show on October 30 at the Texas Fireworks Dia de los Muertos Celebration. In November, Austin Celtic Festival takes place where attendees can enjoy local Celtic performances, such as dancing, music, battle reenactments and an array of workshops that help celebrate the history of Irish and Scottish heritage. From Irish Step Dancing to sheepdog herding demos, let your green show at this fun family festival. With cool weather and winter on the horizon, Austin has plenty of opportunities for you to eat enough food for hibernation. Cozy up with delicious a cup of warm soup at The Soup Peddler, or grab your favorite fall-flavored latte at Mozart’s Coffee Roasters and enjoy the outdoor patio - perfect for a cool afternoon. Eat like a true Austinite at Trucklandia, the festival where food trucks from the area compete to win the “Best-Truck” title as well as a $10,000 grand prize. Grab a wristband, enjoy food from more than 40 trucks and vote for your favorite. This simple and delicious a taste-a-thon is one you don’t want to miss out on. Still hungry? 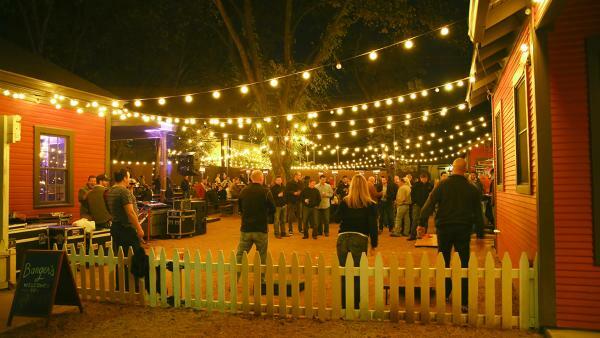 Go all out with Texas Monthly on October 30th at their annual BBQ Festival. Your ticket into meat-lover’s heaven will give you unlimited barbecue from 27 of the magazine’s “50 Best BBQ Joints in the World.” Be sure to come hungry and indulge in the food that put Texas on the foodie map. There’s no time like the fall to enjoy some of the best outdoor experiences in the state. Austin can provide a day full of outdoor activities for everyone. Go for a morning run around Lady Bird Lake or any one of Austin&apos;s many trails and see the turning leaves on the trees. Spend the afternoon tossing a football around with friends or enjoying a picnic with someone special at Zilker Park while enjoying the fresh air. To end the day outside, hike up Mount Bonnell to catch the gorgeous view of the sunset over Lake Travis. Beat the holiday shopping crowd by getting an early start at any of Austin’s shopping districts. Head down to the 2ND Street District for local boutiques like the fashionable luxe apothetique or grab a present for the kids at Toy Joy. For a shopping marathon, head to The Domain, Austin’s outdoor mall that is home to more than 100 upscale and national retail stores and restaurants. Ranging from local designers to department stores, this popular shopping destination is sure to have what you’re looking for.